Having been a finalist in 2015 & 2017 and winners in 2016, Jungle Property were again winners in the Customer Service Excellence category beating tough competition from the many great businesses in the district. 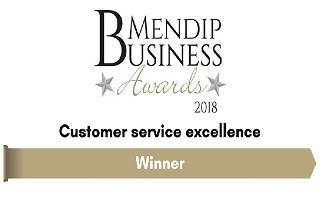 The Customer Service Excellence award recognises the businesses who consistently deliver exceptional levels of service standards and with so many great businesses in central Somerset, winning the award is indeed a great achievement. Jungle Property are constantly looking at ways to improve the customer experience so will not be putting their feet up!